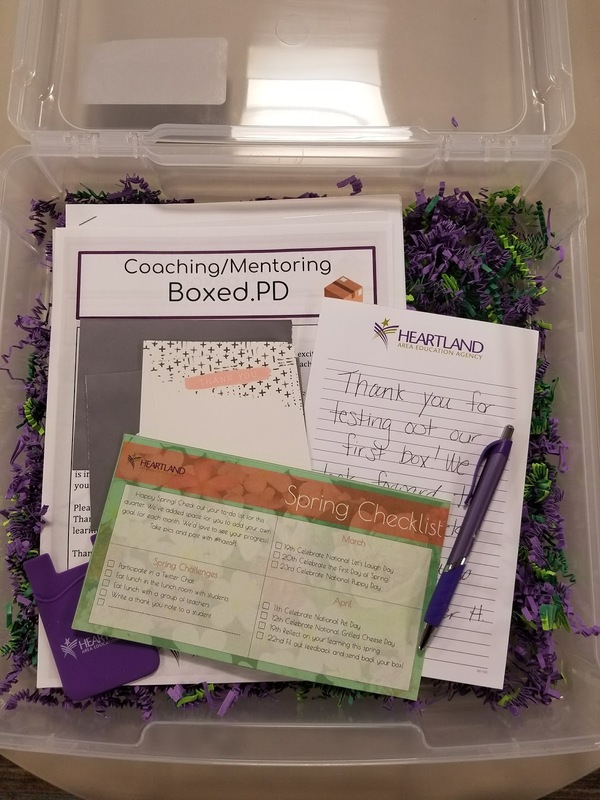 Our first recipient was an Instructional Coach in the area who asked for a box focused on Coaching/Mentoring. Tyler Hellmann and I worked with Michelle Vaughn who helped us gather a couple resource focused on Coaching/Mentoring and more specifically observation which is what this coach asked us to focus on. It was nice to collaborate with others in our agency to create something like this! 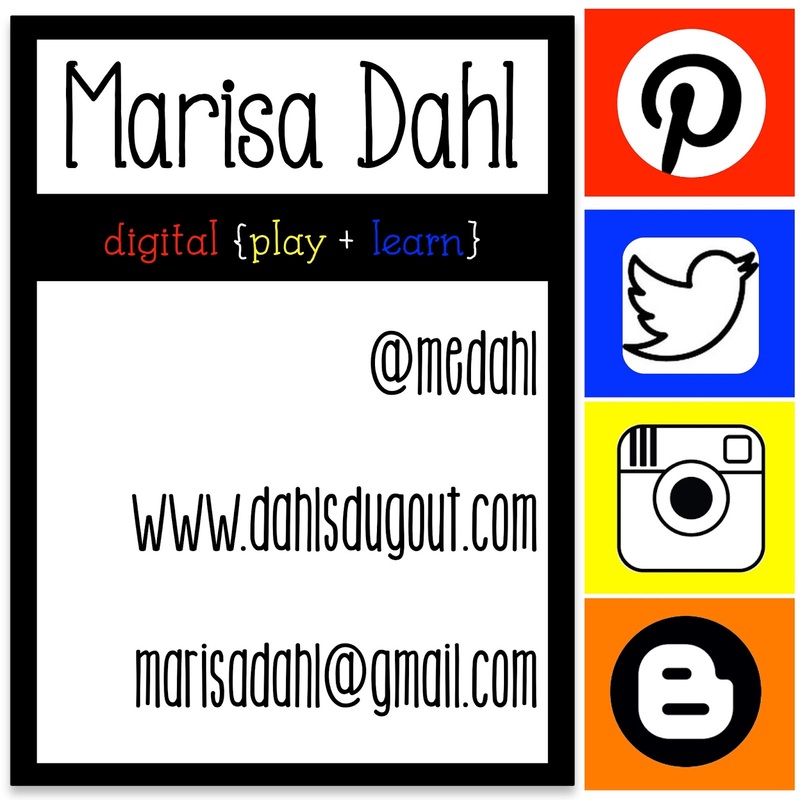 I am glad I had Crystal Marshal's (@crystalmmarshal) help me with this process! She was nice enough to send a box to for me to check out what they send and it gave us great ideas for items to add to the box and formatting of the documents. 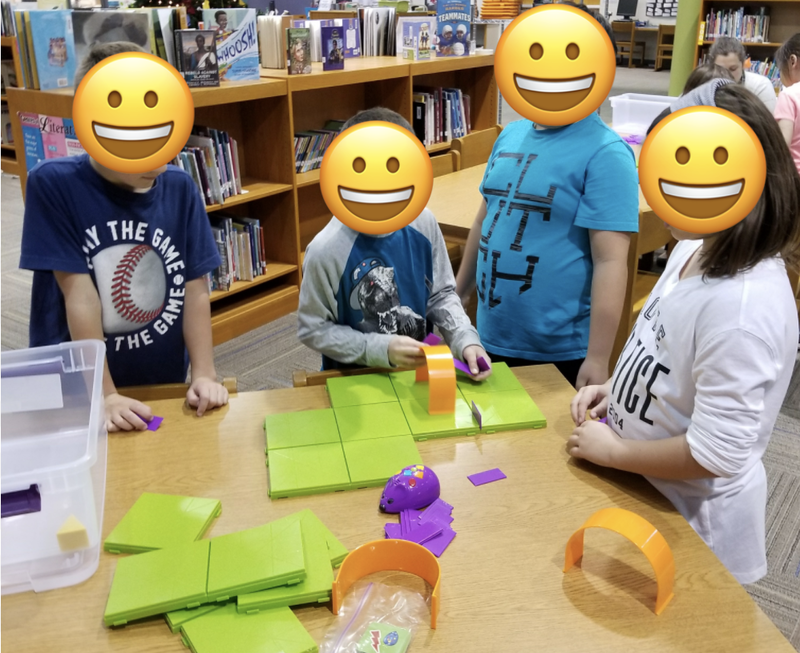 Here is the blog post from edSurge that gave us this idea. 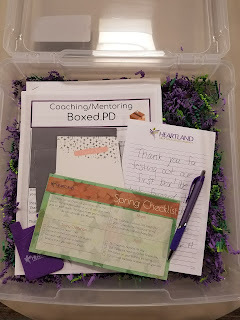 We are already creating out next box, we will stick with Coaching/Mentoring but this time the focus will be building relationships and ideas for pop-up PD's. If you have any resources that you think would be helpful for this topic please add them to the comments below! Here is the final project that was delivered today! 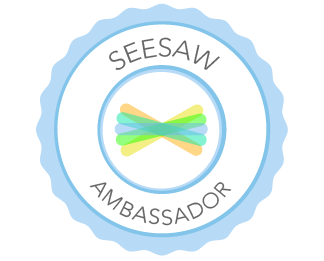 We can't wait to get feedback from our recipient! 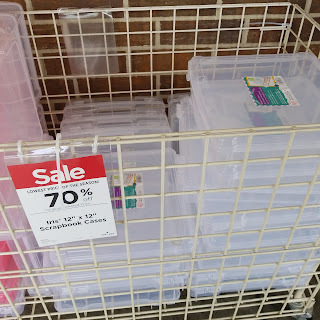 The boxes we used are on sale right now (3/19/18) at Micheals for $2.99, can't beat that price, and the shredded paper at the bottom was found at the Dollar Tree! 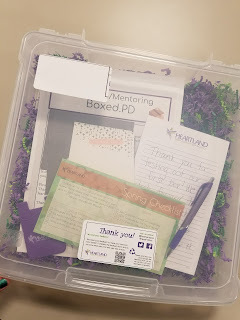 We can't wait to create more boxes and ship them out to educators in our agency to help support them in their learning journey! I love seeing the joy and excitement my son shows while working with the Osmo this week. 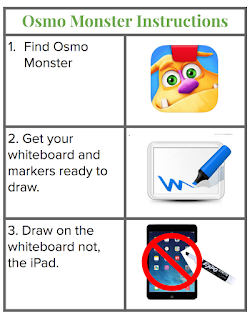 Here are some great resources to help integrated Osmo - Monster into your preschool or early elementary classroom. 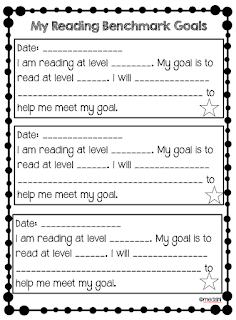 While I was working with the Osmo - Monster in a preschool classroom the teachers mentioned goals for each student. 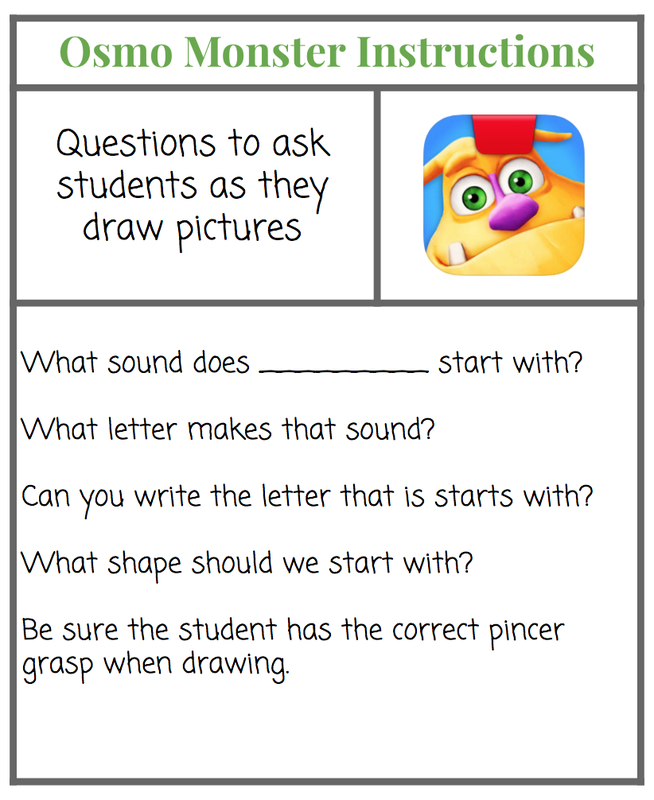 As I worked alongside the student I was able to incorporate questions to have them work towards their goals. Here are some example questions. 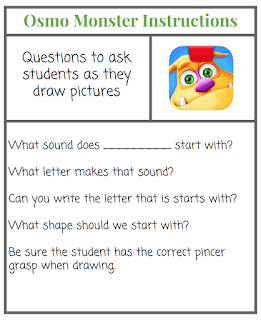 You don't need a special whiteboard or markers to use the FREE Osmo Monster app. All you need is the Osmo stand @$20) and an iPad/iPad Mini. Let me know how you have incorporated the Osmo into your classroom! 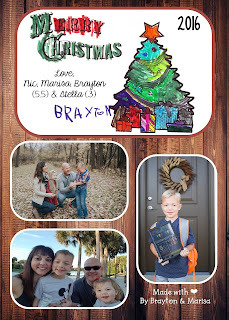 Updated TPT Products and Store Name! 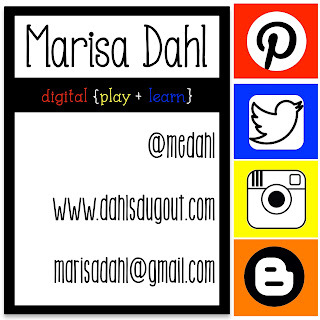 Be sure to check out my updated products in my TPT Store! 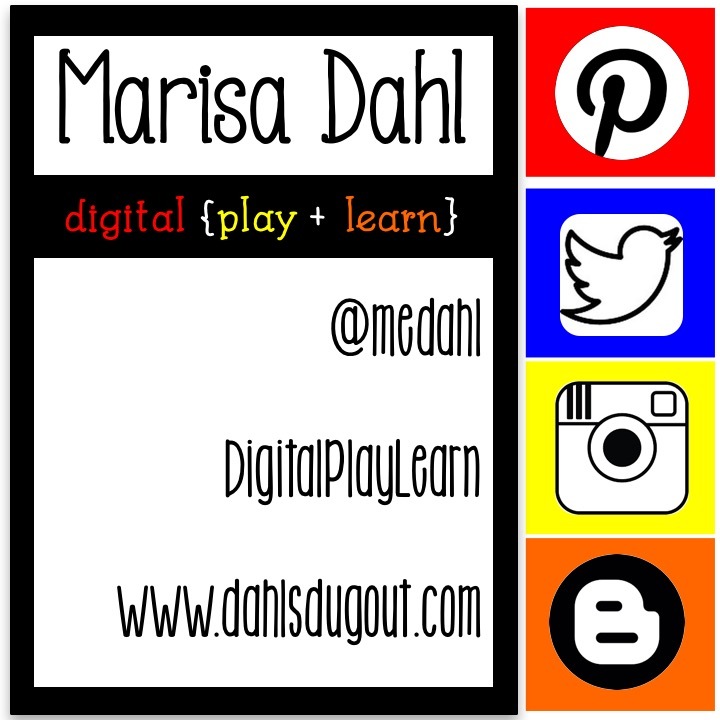 I am also in the process of changing over the title of my blog to Digital Play Learn, I updated my TPT Store name tonight. 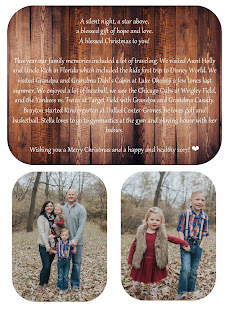 Here are two of my latest product updates. Many classrooms are adding devices (iPads/Chromebook/Tablets) and as we do that we need to remember that it is just as important to teach expectations for these new devices as it is to teach students how to use the sand or water table (if you are lucky enough to still have one of those in your classroom.) Just because students have access to devices at home they may not have the same expectations as they would in the classroom. 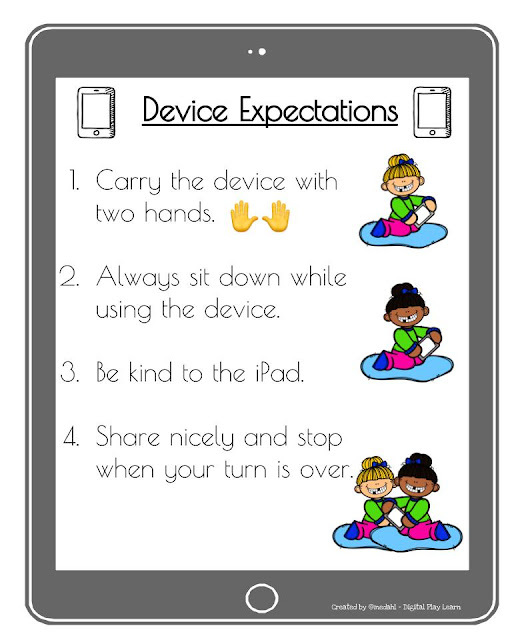 Below I created a Device Expectation poster to help remind and teach the students how to use devices in the classroom. The winning design? The kids create it! 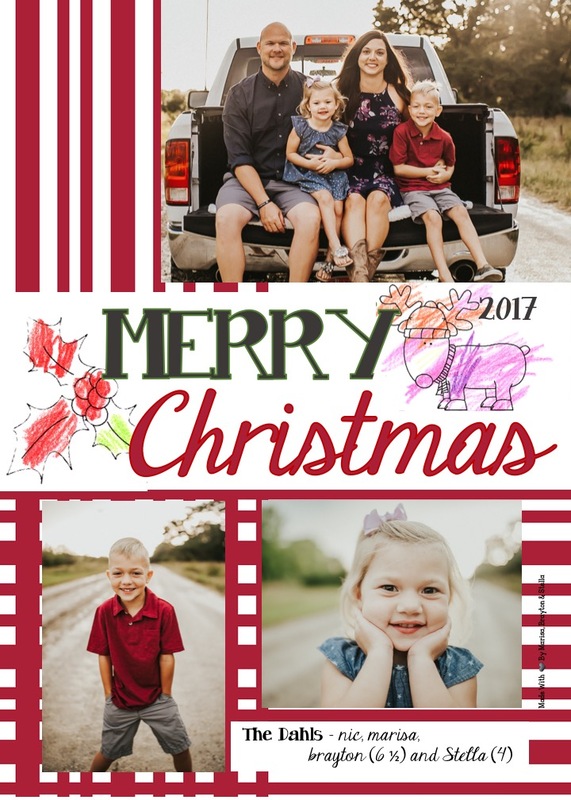 The past two years I have had the kids color pictures to add to the Christmas cards. 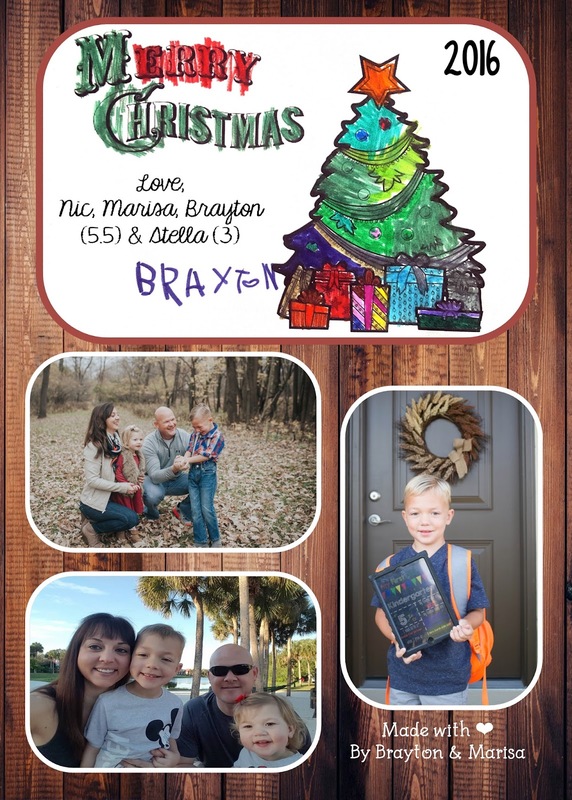 I LOVE using Powerpoint to design my own cards and with the kids help we do it together. Here are the final projects from the last two years. Here is 2017 Front and Back. While I wish the colors the kids choose were different (this was a task I gave my husband to do with the kids) I had to leave my perfectionist quality (only when it comes to digital publishing) aside. 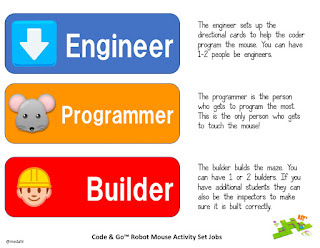 I hope my kids remember these little things they created and continue to be makers themselves! PS We make all of our own Thank You cards and Birthday cards as well. 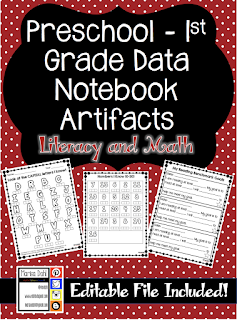 I can't wait to share with you after winter break. How Google Home, changed our home in 24hrs! I have been waiting to write this post for awhile but just haven't had the time, read... made the time, to do it. So here it is. I finally bought into the voice-activated "toys". For the longest time I thought, why would I ever need that. Well, I found it on SUPER sale and had a gift card burning a hole in my pocket so I pulled the trigger. Here is a low down of the first 24 hours with our Google Home! 1. ?Hey Google, Set A Timer!" My 6-year-old was able to set his own 15-minute timer to let him know when he could stop reading. 2. "Hey Google, What time does True Value close?" I knocked the socks off my FIL when he asked me this question and I asked Google. 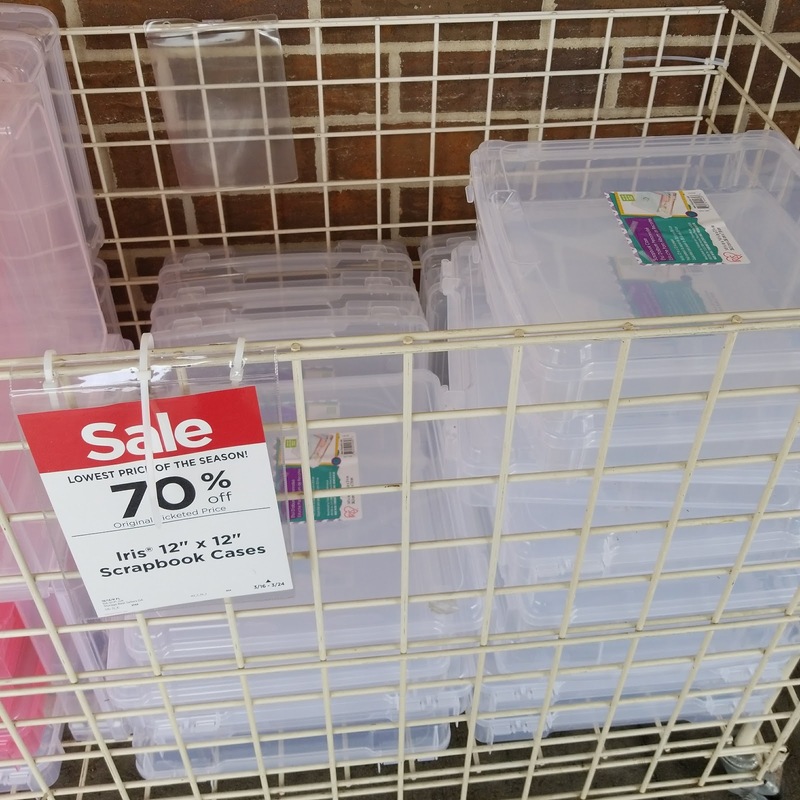 No more fumbling to find my phone and type in the store name. 3. "Hey Google, Play Moana soundtrack." I have my Spotify synced with my Google Home so I am able to play any sound, playlist, album, singer, I want to. Crisis diverted when I need to make dinner the kids are supposed to be "playing nicely". 4. 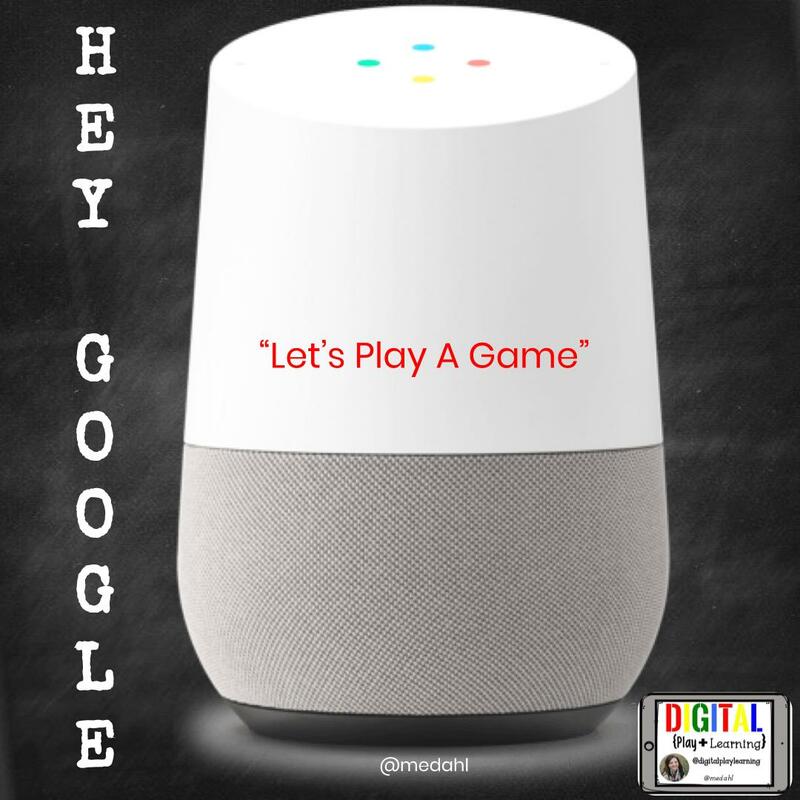 "Hey Google, Remind me #GAFE4Littles Twitter Chat starts at 7:00." Yes, I need constant reminders, and this helps me to not miss a beat! 5. "Hey Google, add cumin to my shopping list." Confession, I haven't found a great way, until now, to track what I need to get at the grocery store. I have a Google Keep note, but that requires me to get my phone out and add it to that list, I have a whiteboard by the door which I have had my son write things on the board when I need something and then I take a picture as I walk out the door to get groceries but none of those are working 100% until Google Home came along. Now I can tell it to add things to my shopping list and then I access the Google Home app at while I am shopping and everything is there! These are the most popular questions or tasks I ask Google. However, there are so much more Google Home can do and I can't wait to learn more! I have started a new serious called #heyGoogle to share more about how I use Google Home in my home! Come join me! 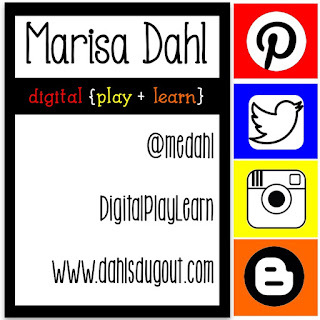 @digitalplaylearn on Instagram!